Last Sunday I was checking out the Buy/Sell/Trade section of one of my favorite Internet communities besides Famicom World – RetroGames.cl Forums. Some guy was selling a bunch of gaming stuff for cheap, and I was fortunate enough to see the post just minutes after it was created, giving me the ultimate lead to snag stuff before anyone else. 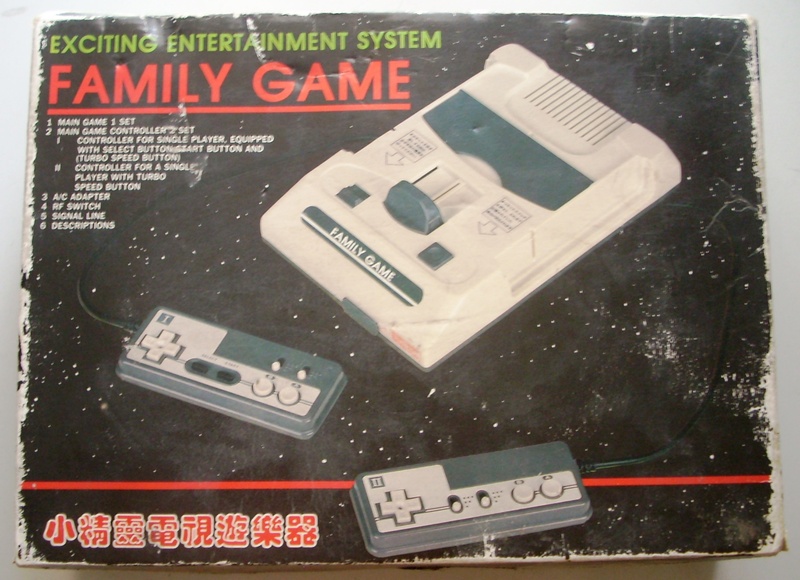 Among the stuff that I bought from him, I got this nice looking Famiclone for about $5, system + box + manual, untested. I like these Famicom-shaped clones, and this one is in fact my very first one. I couldn’t resist getting it even if it was in rough/unknown condition, since these clones have several advantages over the newer ones. Nobody’s exempt from Murphy’s Law. Everybody’s got their story about how a quick and simple problem turned into an eternal and impossible one, or how something that was very unlikely to happen, happened – with disastrous consequences. Study hard for a test, and the teacher won’t show up. Murphy’s Law has been applied into almost every field of science and knowledge, like electronics, aerospace engineering, etc. Inspired by a recent thread on Famicom World, I’m going to use my personal experience to apply Murphy’s Law into one of my favorite hobbies: Video Game Collecting. You are currently browsing the 133MHz's Junk Box blog archives for October, 2009.